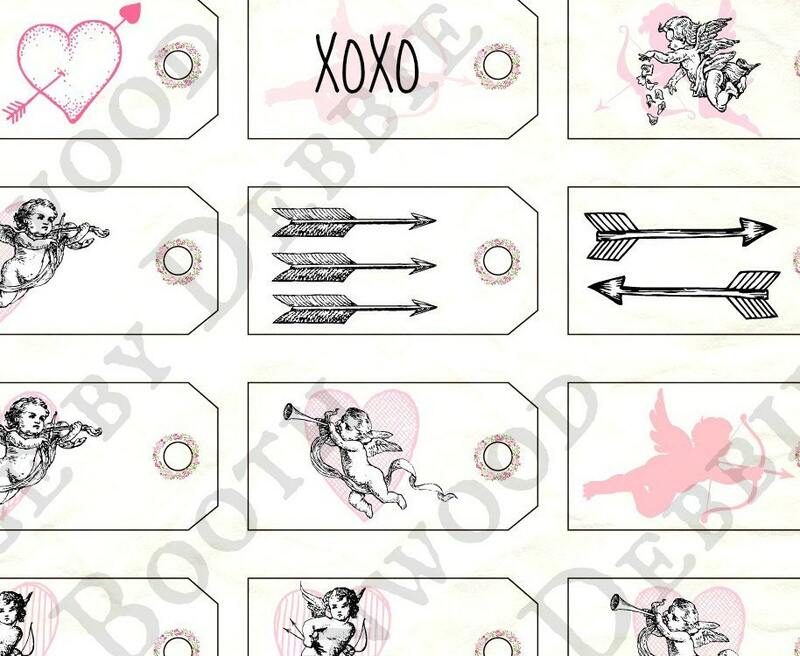 These sweet little tags are so sweet with arrows, cherubs, hearts and sweet little x's and o's. You know X's and O's represent hugs and kisses! 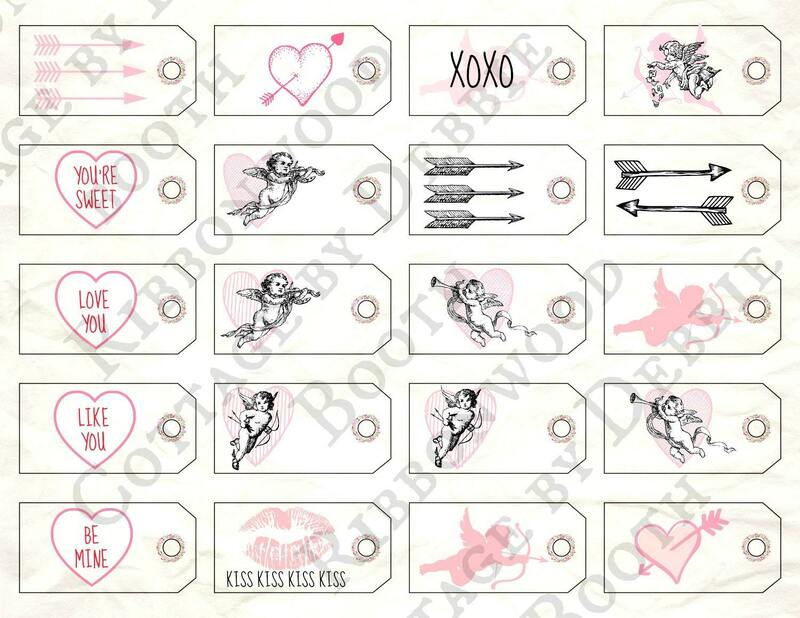 This page of printable tags is something sweet you can print out on white card stock over and over again. Trim easily with scissors. 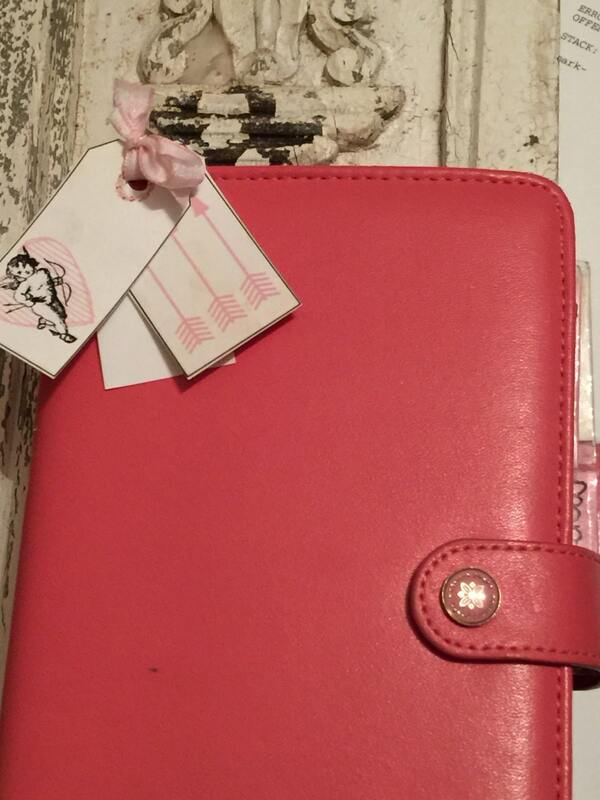 They can have a hole punches in them and a ribbon tied on if desired and tied onto a candy bar, a box of Valentine hearts or used on your planner!s. See the pictures. Trim tag from card stock, use a hole punch and punch a hole. Slip a ribbon through the hole and tie a bow, and attach to planner ring for a short term festive Valentine look! The labels will not have the watermark as shown in the photo listed. Items in background of picture not included.